10 Things to Know When Working With an Illustrator is a very fine piece by illustrator and editor Marlo Garnsworthy. She's specifically writing about picture books and aims "to include the least you need to know when working with an illustrator and navigating the pre-publishing process." 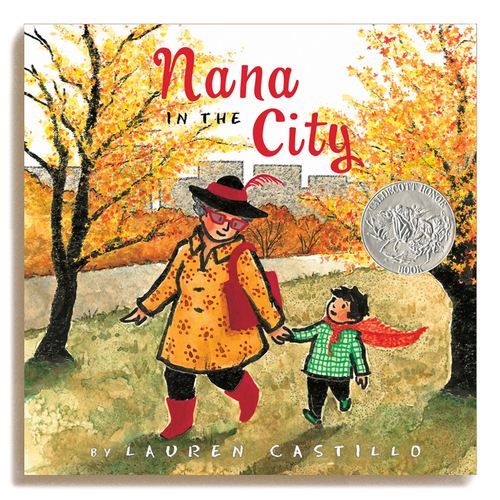 If you're interested in writing picture books and are considering either submitting to a traditional publisher or engaging an illustrator yourself in order to self-publish, you'll want to read what she has to say. What Do Illustrations Do In A Picture Book? Years ago, pre-blog, I believe, I heard a art director from a major publishing house give a talk on picture books. She said that illustrations in picture books are not just pictures of something described in the text. Pictures are supposed to carry some of the story. They don't duplicate what you're reading. Description of appearance and action don't appear in the text, they appear in the pictures. This information was a revelation to me. 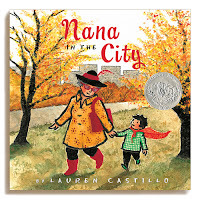 Nana in the City by Lauren Castillo is an excellent example of what the art director was talking about. At one point, the child narrator says that the city is noisy. The text doesn't describe what causes all the noise. The illustration shows it. Getting word and image to work together in a picture book is not a simple task. Pay particular attention to Marlo's section "How does the illustration process work?" My Aliens books and my Hannah and Brandon Stories had interior art. My publisher found both artists and supervised the work. When I republished Saving the Planet & Stuff as an eBook, I had to commission a new cover. And, yes, yippee, I was self-publishing and was in control of the artwork. But that meant I had to find an artist myself. And that was easier said than done. What I learned when I went hunting around the Internet for an illustrator is that many of them specialize. Some illustrators specialize in children's art for very young readers. Some work with very realistic art, some less so. Some artists who do cover illustrations specialize in romance images, some fantasy. Finding someone to create a cover was not a quick and easy task. Now think about finding someone to illustrate an entire book. Go read 10 Things to Know When Working With an Illustrator.